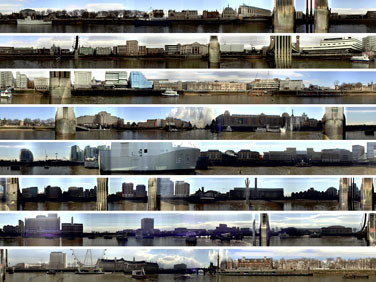 Pancam is a way of taking very long panoramic images. A sequence of images is taken from a moving vehicle. Central stripes of each consecutive frames are then cut out and joined together to one long image. The whole process can be automatised with common digital devices. A standard DV camera takes on the recording of the image sequence, a PC application takes the video feed and turns it into a static image.